If you find that your under-eye concealer looks dry, creases, settles into lines, cakes or wears off quickly, there are various aspects which can be worth considering to see if they help remedy the problem. I’ve split this article into various areas, including Skincare Preparation, Liquid Under-Eye Concealer, Concealer Type (illuminating, dark circles, full coverage), Quantity Applied, Application Techniques, Make-Up Tools and Setting the Under-Eye Area. Hopefully one or more of these areas will help you if you are having issues with your under-eye concealer. If you find that your under-eye area looks dry after make-up application, it might be worth trying out an eye cream to see if this helps remedy the problem. When I hit my 30s, I started to find that my under-eye area looked a little dry when I applied concealer. My skin used to be oilier when I was younger but it has become more normal-oily as I have become older. My skin can also be prone to dehydration from time to time too, which was never an issue when I was younger. I think these changes in my skin have had implications for my under-eye area. I started applying an eye cream at night time as part of my skin care routine (Iet me know if you would like a post on that) and I found that it made a huge difference. My under-eye concealer went on more smoothly, under-eye area didn’t look dry anymore after concealer application and the whole area just looks smoother. You can also apply eye cream in the morning too if you want a double dose of moisturising goodness! 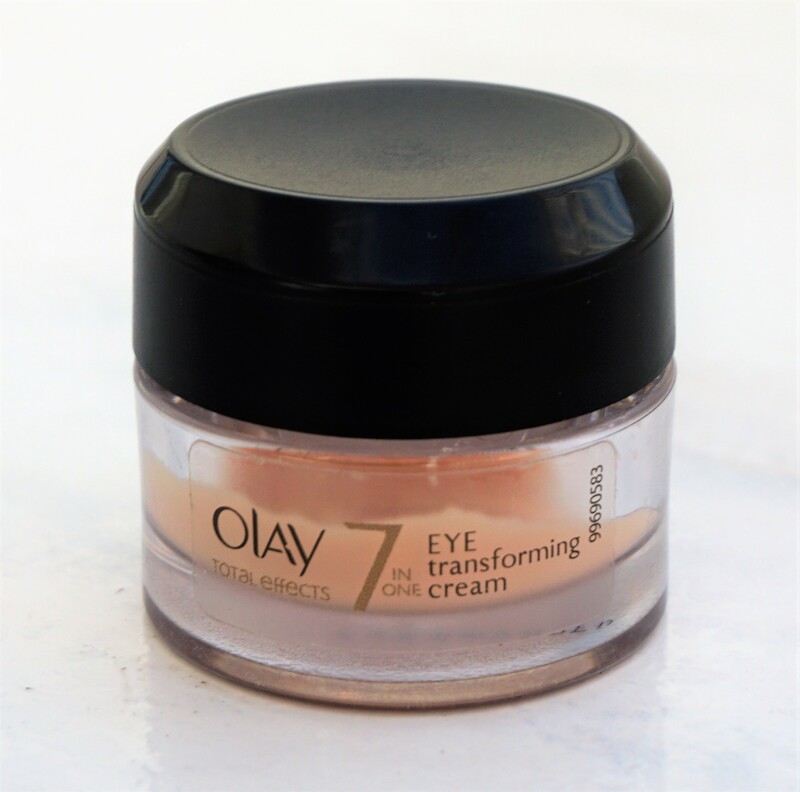 The Olay Total Effects 7 in 1 Eye Transforming Cream (pictured above) is my favourite eye cream and one that I have repurchased several times. 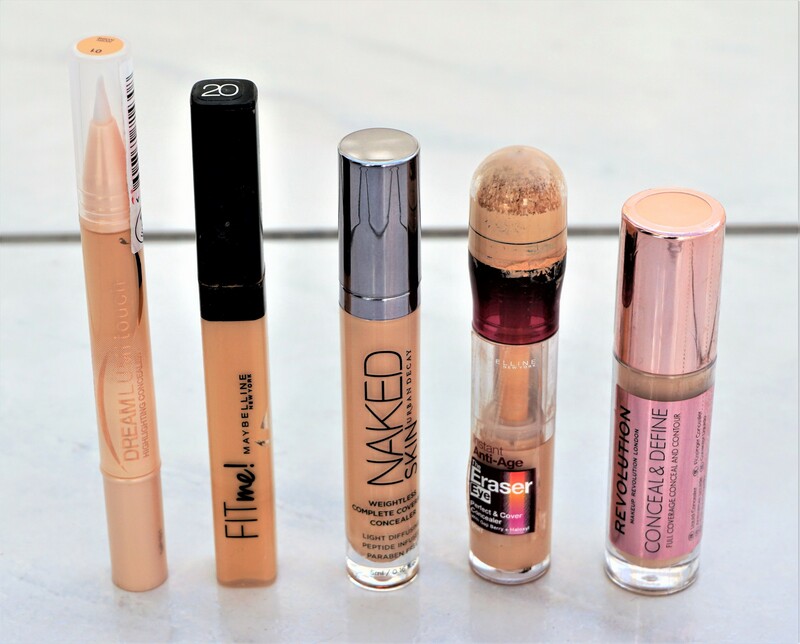 I generally prefer to use liquid concealers under my eyes as I find that they easier to blend, more gentle on the under eye area and give a smoother finish. 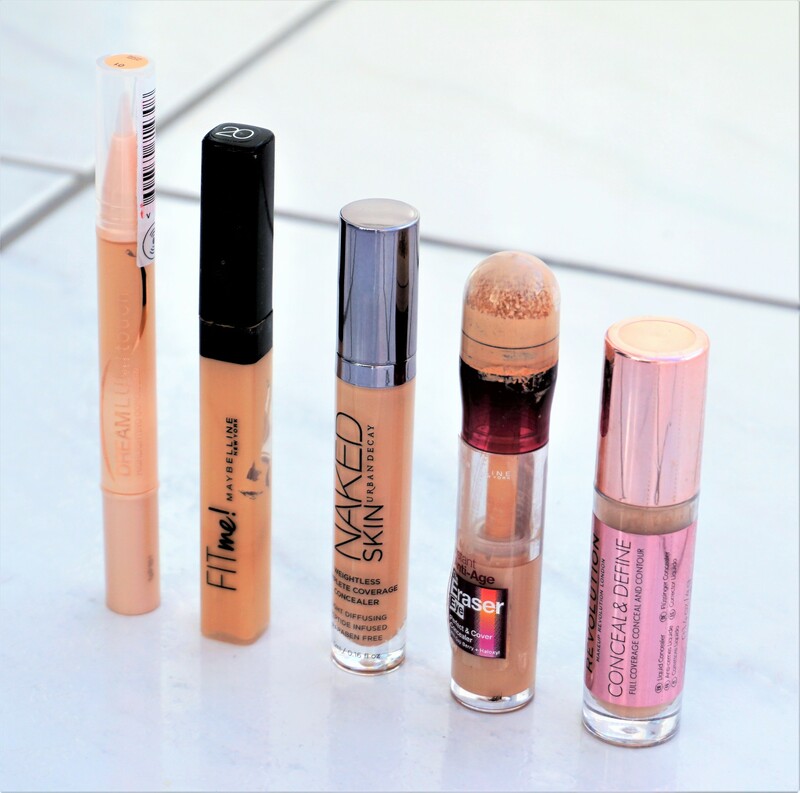 There is a wide variety of liquid concealers on the market, from more affordable brands like Maybelline and Loreal, through to more expensive brands like Urban Decay, MAC and Charlotte Tilbury. The below photo shows some of the liquid concealers I have in my make-up kit. Let me know if you would like to read more about any of these products! I’m not the biggest fan of using stick concealers on my under-eye area as I find them to be a little thick, prone to creasing, caking and gathering into lines. I think the thicker, creamier texture of stick concealers is what leads to these issues for me. I love them on the rest of my face; just not on my under-eye area. I would love to know, though, if any readers have stick concealers they would recommend to me for using under the eyes! Concealers are marked in different ways (illuminating, covering dark circles, full coverage), so it’s worth thinking about what sort of effect you are looking for under the eye. If you feel the area needs more brightness and your eyes look a little tired, you might like an illuminating under-eye concealer (such as the Maybelline Dream Lumi Touch range). If you want to cover dark circles, something with a peachy undertone and marked as being good for under eye bags might suit you (such as the Benefit Boi-Ing Brightening Concealer). Alternatively, if you want overall coverage, something catered to that may be useful (such as Urban Decay Naked Skin Concealer). I like to apply just a small amount of concealer under my eyes, blend it in gently and then add more if necessary. Applying a little at a time means that I can get the coverage I want without just applying too much. Overdoing the concealer can mean you use more product than you might need and as a result, you may experience caking or creasing under the eyes. I place little dots (at the outer corner, lower down in the middle, near the inner corner) of concealer under my eyes and gently pat them in. I prefer doing that instead of swiping an amount in one go as it prevents me from applying too much. I then build up the concealer, as necessary, in any areas which require extra coverage. Try to apply very small, rather than big dots, as otherwise you might end up overdoing the concealer! You can experiment with using your fingers, a make-up brush or a damp make-up sponge (like a Beauty Blender) to apply and blend under eye concealer. Each type of tool can yield a slightly different result, so it’s worth seeing if one of them works better for you than others. I use a clean finger to apply undereye concealer most of the time, as it means I don’t have to wash a brush or sponge everyday. I just dot on the concealer and gently pat it in using my ring finger. Using my fingers gives me a good level of control over where I put the concealer and how I blend it in. Brushes are a good alternative to your fingers, as you can get into all of the little crevices around the under-eye area to ensure an even application of concealer. 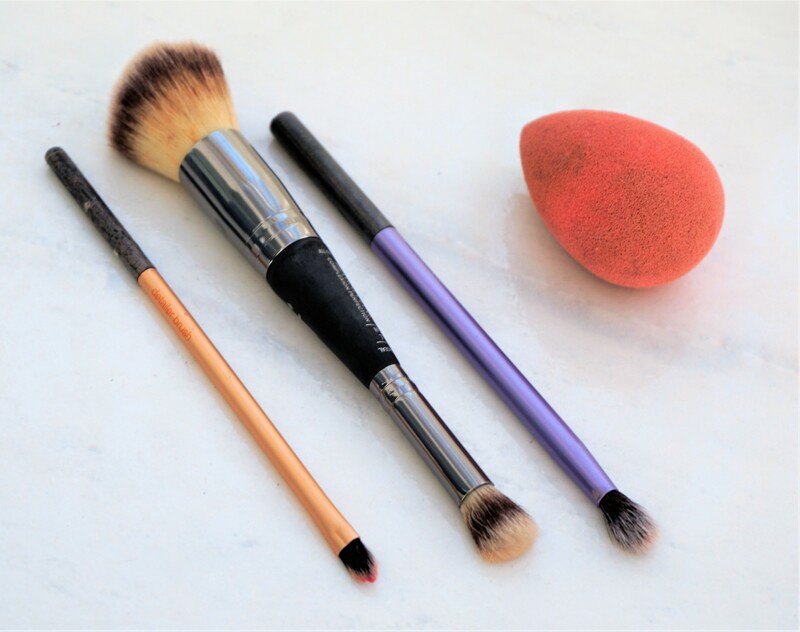 You can either use a fluffy, full headed concealer brush to aid with blending or a flat concealer brush to gently pat the product in under the eyes. Dampened beauty blenders are great combined with undereye concealers, as the bouncing motion can help to gently blend in the product. Using the pointed tip or a slanted edge of a beauty blender is also a really good way to get into the little nooks and crannies around your eyes. I prefer using beauty blenders with thicker liquid concealers, rather than thinner ones, as I find that the tool can sheer out the product slightly. I like the blendability that you get from a beauty blender; I just like to keep the coverage from the product I am using. I like to set under my eyes whenever using a concealer, as I find that it helps the product stay in place all day. 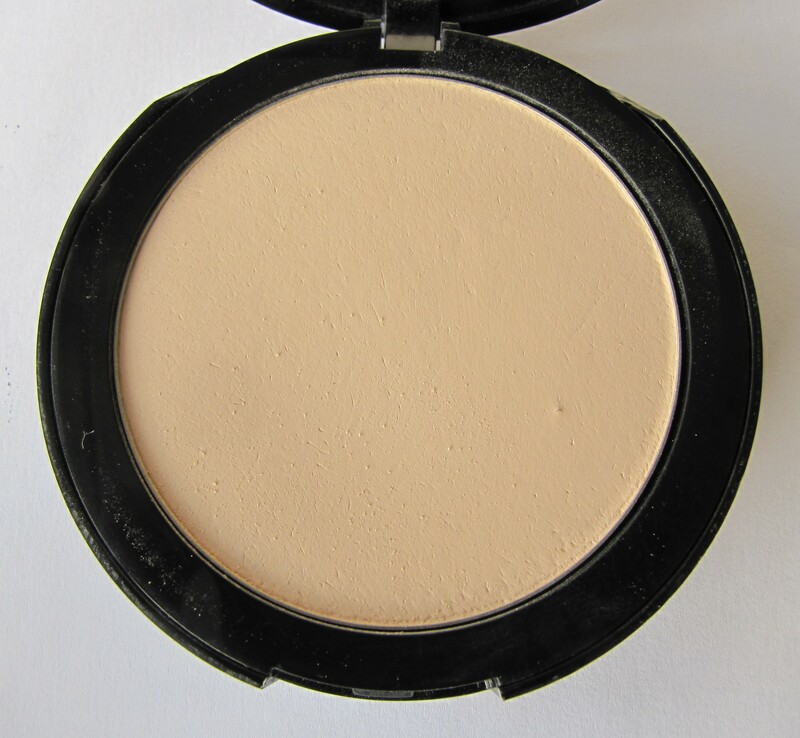 I use just a little powder, as over-applying powder can potentially lead to caking or creasing. I like to use a fluffy, medium sized brush for setting my undereye concealer. Fluffy eye brushes are great for setting concealer too, as it means you don’t get powder elsewhere on the face. You can use a translucent powder to set your undereye area or a powder which matches your skin tone. I use either, depending on what powder I am using elsewhere on my face. For example, if I am just wearing face or powder foundation, then I will use that on my undereye area. 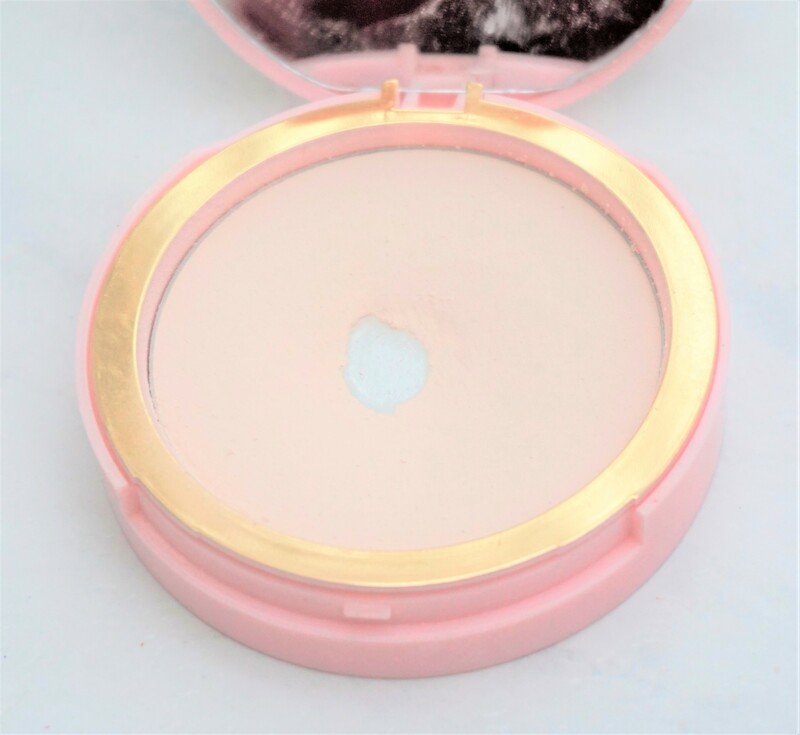 If I am wearing liquid foundation or a loose mineral foundation, then I will usually set my face with a translucent powder and use that on my undereye area as well. I hope you find these tips and tricks helpful! Let me know in the comments section if you have any techniques that work well for under eye concealer. Very informative artice and just what I needed as I have been wanting to buy an under eye concealer but wasn’t sure how to use it. Thank you. Glad to hear you found the article helpful! I’m planning on writing a post on my favourite undereye concealers, so look out for that one too.